In the old days, living alone in Gainesville either renting a small studio apartment or living in an ugly apartment complex far from campus. But nowadays, UF students have lots of 1 bedroom apartments in Gainesville to choose from. 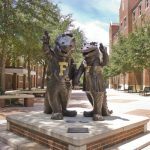 We’ll break down the top 5 nicest 1 bedroom apartments in Gainesville FL so that you can find the right fit for you– whether you’re an undergraduate student or a UF grad student or a professional. 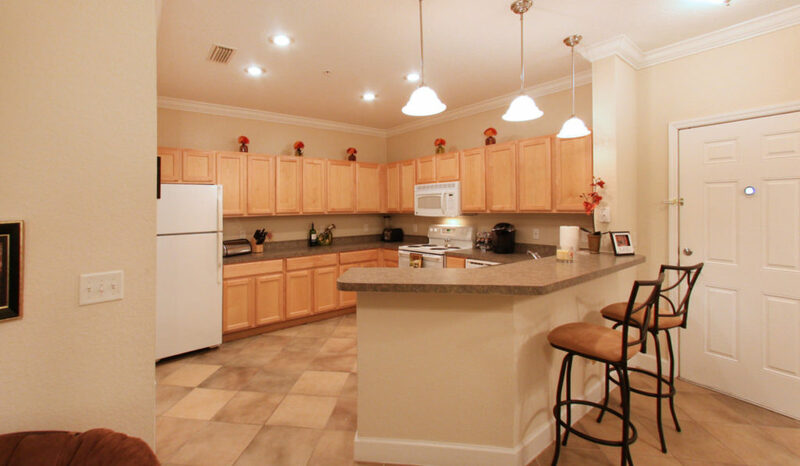 The 1 bedrooms at Stratford Court offer the biggest gourmet kitchens out of any of the apartment complexes I’ve seen in Gainesville. They are ideal for someone who likes to cook. If you consider yourself a young Martha Stewart, check these out first. 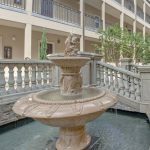 Plus, they have nice sized closets in the bedrooms and a large porch or balcony off the bedroom, which is an unusual feature in a 1 bedroom apartment. The 1 bedroom apartments at Ashton Lane have a lot of emotional appeal: the uplighting, the cherry wood cabinetry in the kitchen, the pedestal sinks in the bathroom. It’s no wonder that so many UF grad students choose these apartments. Plus, they are close to Library West and the UF business school. These 1 bedroom apartments have a great layout: there’s an area off the kitchen that’s perfect for a small dining room table. Many renters choose to use the elevated breakfast bar for eating, and instead use the dining area as a small home office, which is a great choice, too! 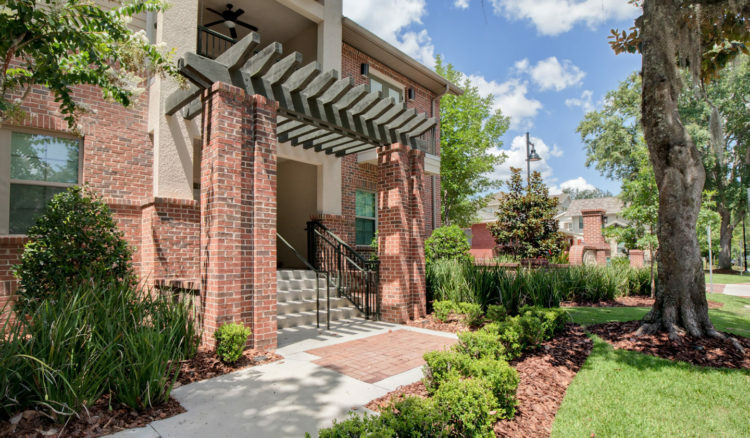 Though not as luxurious or as new as the previous two apartments, the 1 Bedrooms at Arbor Lofts are very popular with students because they are located in midtown Gainesville, steps from UF classes, Library West, and many popular restaurants. The living room and kitchen are located on the 1st floor of the apartment, as shown in the photo above. The bedroom and bathroom are located upstairs. 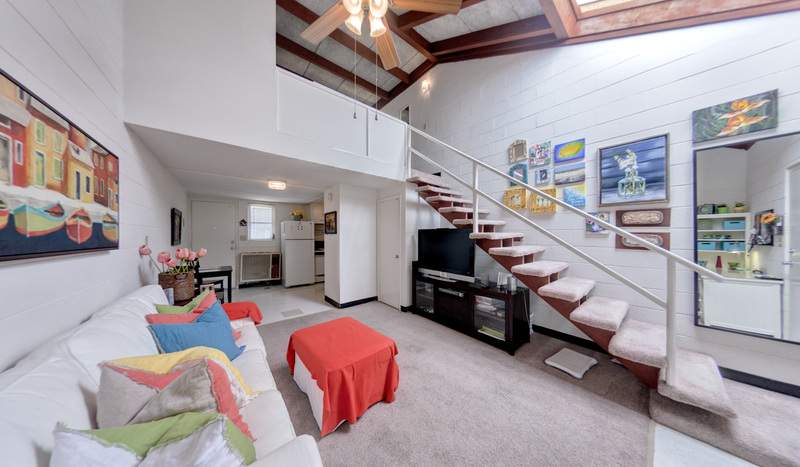 There’s a cathedral ceiling and exposed wood beams, making this a very unique floorplan for a 1 bedroom apartment near UF. Need a vacation? 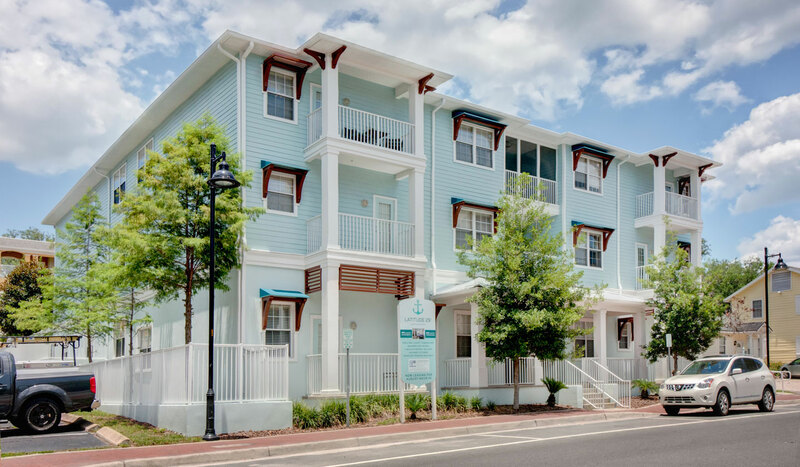 You’ll feel like you’re far away from Gainesville in the Florida Keys each time you walk home to your 1 bedroom at Latitude 29. The pastel blue color of the apartment complex brings to mind clear skies and sandy beaches. 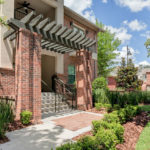 Located right across the street from Sorority Row in Gainesville and steps from Norman Hall, they are popular with sorority girls and other students who want to be located near UF Health/Shands. 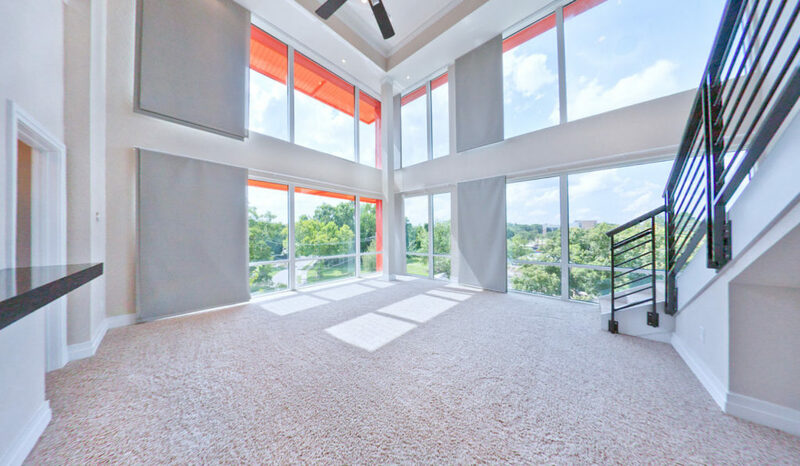 No list of the best 1 bedroom apartments in Gainesville would be complete without photos of this crazy-amazing 1 Bedroom Loft at Savion Park. With a two-story tall living room, floor-to-ceiling windows, electric panel blinds, and a gourmet kitchen with granite countertops, even Beyonce and Jay Z would be impressed with your apartment if you lived here. There’s truly NOTHING else like it in Gainesville. So what are you waiting for? If you’re looking to rent one of the nicest 1 bedrooms in Gainesville, you’ll need to plan ahead. Many of the most popular apartments fully book up to 11 months before move-in. 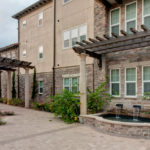 Which of These 4 Bedroom Apartments in Gainesville FL is Perfect For You? 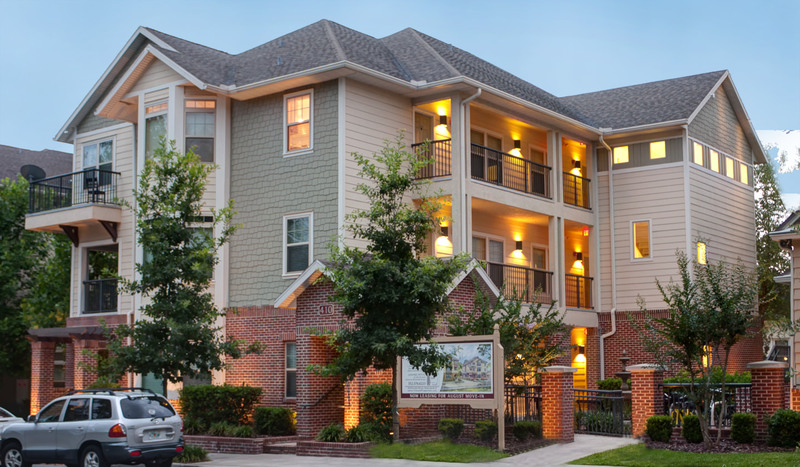 Which apartments in Gainesville should you choose for fall?